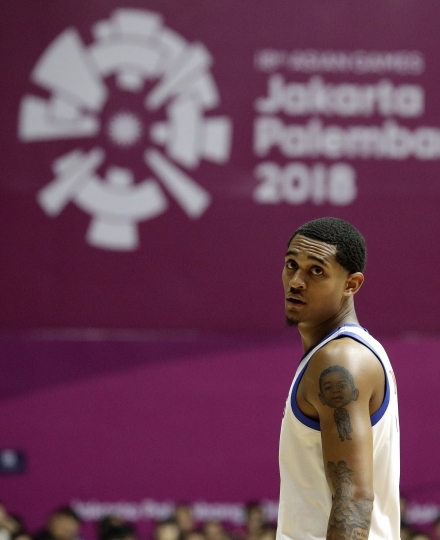 JAKARTA, Indonesia — The Philippines was vastly improved with Cleveland Cavaliers guard Jordan Clarkson added to the team to face China at the Asian Games. 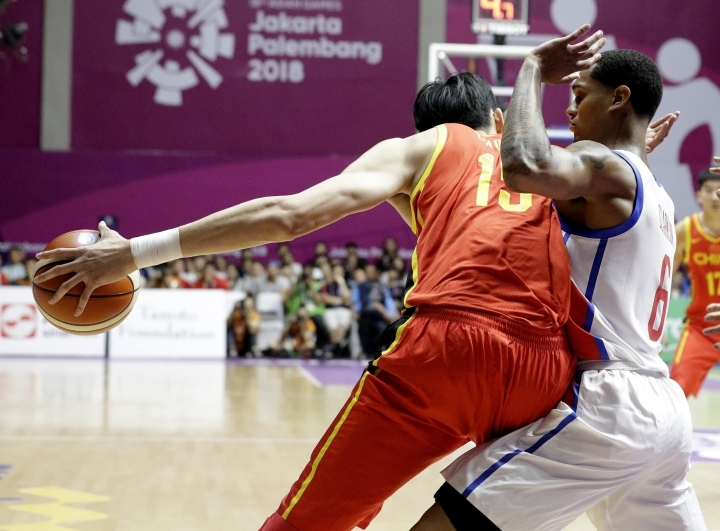 Clarkson returned to play the last few minutes of the quarter, and the Philippines Paul Dalistan missed a 3-point shot with about five seconds left, which could have sealed an upset against the tournament favorites. "After he cramped, Jordan couldn't play his 100-percent best," Philippines coach Joseller Guiao said. "But even without him in there we still played well." Despite the loss, Philippines should reach the quarterfinals with China heavily favored to beat Kazakhstan on Thursday. Houston Rockets young center Zhou Qi led China with 25. 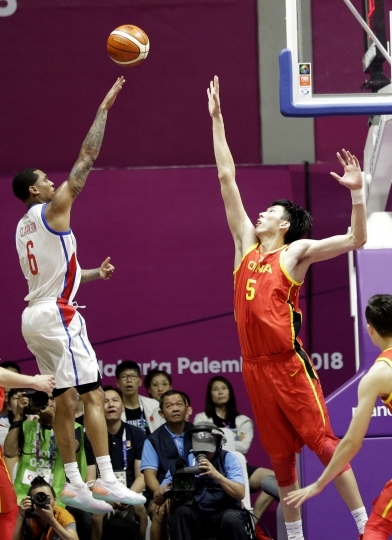 The 2.17 meter (7-foot-1) blocked a half-dozen shots for the vastly taller Chinese. China's other NBA player, Dallas Mavericks small forward Ding Yanyuhang, had seven points. Zhou said the young Chinese team would learn from the close second half, when Philippines rallied to take the lead. "I think we made some mistakes today," he said. "I think when we go back we will learn the lessons from the third and fourth quarters, and to avoid the same mistakes in the upcoming matches. "We need to give everything we can to fight for every single point." The Philippines led 78-75 late in the game, but couldn't hold on with Clarkson unable to play at full speed. "We have to keep moving on and hope we get to play them (China) again in the tournament," said Philippines guard Gabriel Norwood. Clarkson skipped post-game interviews, walking directly past reporters to get his leg treated. "I don't see this as a loss," Guiao said. "We formed this team only two weeks ago, and Jordan just flew in five days ago. He was able to get into the flow quickly. We're a lot better with Jordan Clarkson."